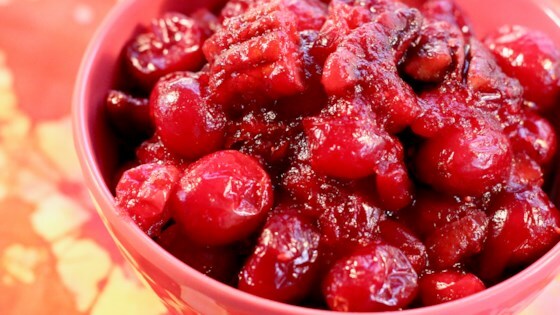 "This quick and easy cranberry sauce gets extra flavor from orange zest and fresh grated ginger." Combine the sugar, orange zest and juice, and ginger in a pot over medium heat; cook and stir until the sugar is completely dissolved, about 5 minutes. Add the cranberries to the orange juice mixture; cook until the cranberries pop, about 5 minutes. Stir the pecans through the cranberry mixture; remove from heat and allow to cool completely before serving.